Cornwall go into next Sunday’s decisive group game against Devon at Penryn’s Memorial Ground knowing that a win against their opponents will land them a home quarter-final to be played towards the end of March. The Cornish youngsters will hope to repeat the result the last time Cornwall played Devon on Cornish soil at Hayle in 2012 when the young black and golds ran out winners by 24 points to 23. The selectors have been forced to make a couple of changes to the side that won a thrilling match 37 – 35 against Dorset and Wilts last month due to unavailability. Devon, for whom this is their opening fixture in the group, come into the game on the back of an encouraging warm up win against England Colleges 19-15 at the Brickfields last month and as ever will provide formidable opposition. The Cornish players are due to meet at Penryn to complete important pre match formalities including presentations by Kenny Plummer Cornwall RFU President and the squad photo. Coaches Ian Morgan Mike Rawlings and Brynn Jenkins have built an excellent squad ethic and a pride in wearing the black and gold. A good result against Devon will define where this squad goes next. Colin Hatch and his back room team have ensured that the Cornish lads have all they need to set up this latest encounter between the two counties. Players will also be hoping to catch the eye of South West Divisional selectors with a view to selection for the England Counties Under 20’s. Support for the Cornish team would be much appreciated at Penryn on Sunday with kick-off at 2-30 pm. Entry is only £2-00 with program. Cornwall U.20: Jack Kessell (St. Ives), Luke Tidball (Truro), Sam Chapman (Cornish All Blacks), Ashley Taylor (St. Austell), Bradley Janes (Truro College), Rhys Brownfield (Pirates Amateurs/Bath Uni), Sam Fox (Wadebridge Camels); Joe Martin (Truro) Jack Innard, (Truro College), Tyler Gendall (St Ives), Todd Prisk (St. Ives) (Capt), Harry Baker (Redruth), Neil Stenleick (St. Ives), Johnny Haines (Cornish All Blacks), Brad Howe (Helston/Truro College). 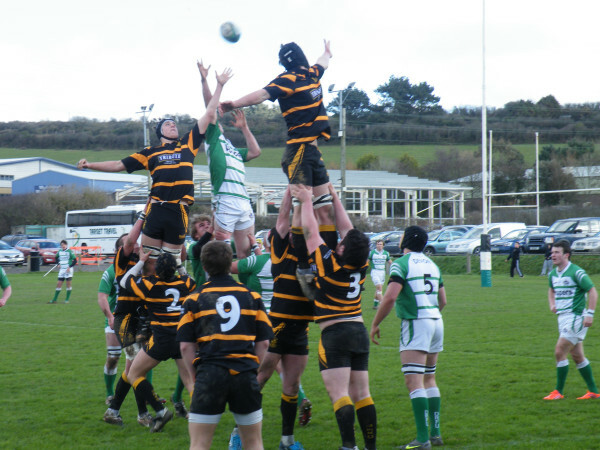 1 Pings/Trackbacks for "CORNWALL UNDER 20’S READY FOR DEVON CLASH"